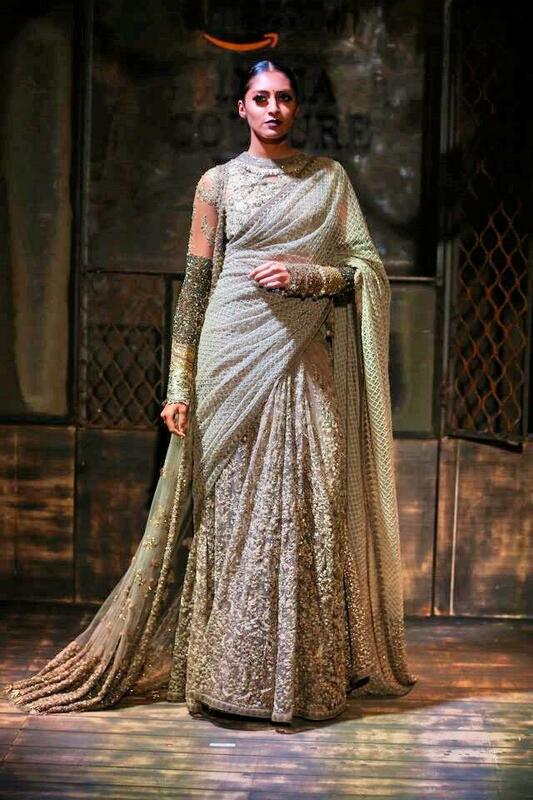 The Amazon India Couture week (AICW) just concluded and iam here to give you all the ethnic fashion updates in detail . 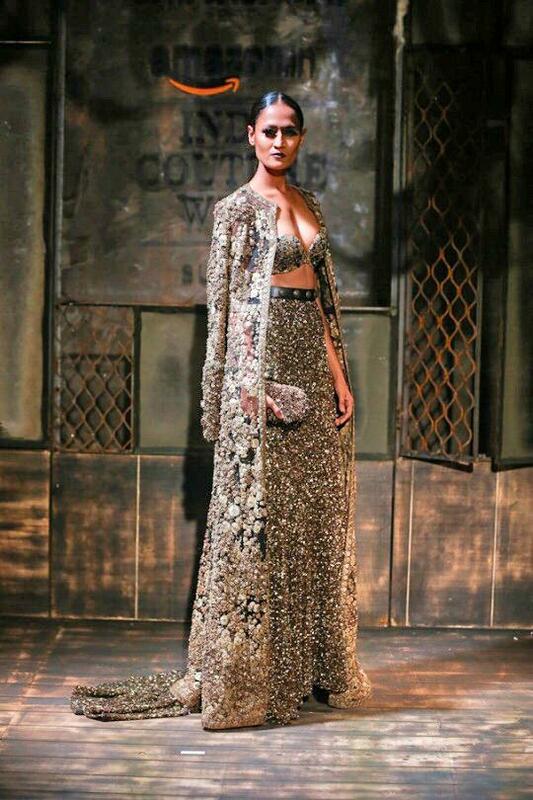 The sixth edition of AICW 2015 was opened by Sabyasachi with his Bater collection . 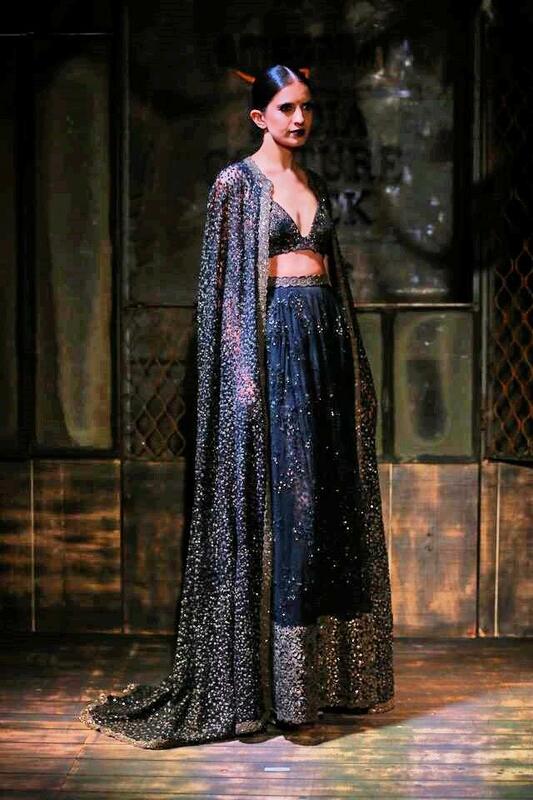 The whole collection was dark, moody and intense but the real highlight of the show was the collaboration between Sabyasachi Mukherjee and Chritain Louboutin. I say that because the clothes werent really my cup of tea . The dull greys, black lipsticks, blues and browns were enough to get my spirits down but thankfully there was a splash of bright rich reds to up my mood. 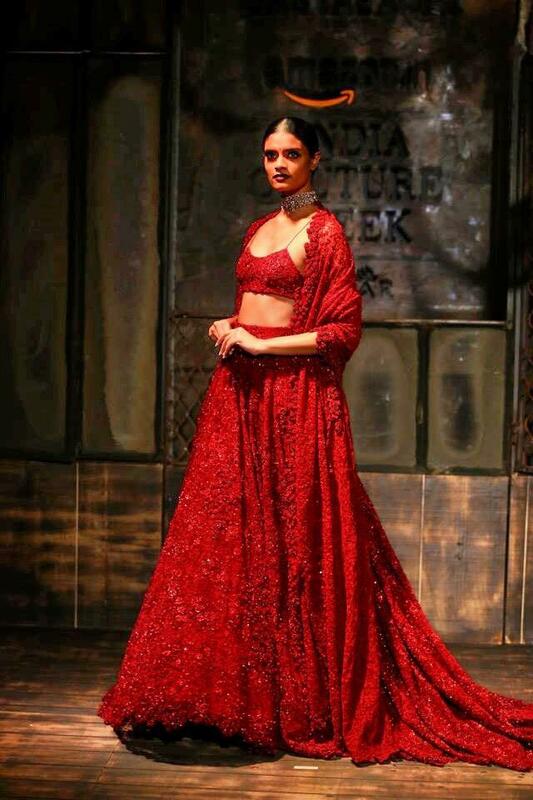 This collection is for the bold , rebel indian bride who wants to experiment crazy . There was not too much of volume in the collection meaning you will really have to work on your body if you want to wear pieces from here. There were arm revealing blouses, bustiers and deep V neck Jackets , if you have the body and you are willing to do sensual then go for it. And ofcourse get set to see a lot of this on B Town celebs as they walk down the red carpet. When it came to accessories , now that was another tale to tell. The spiked head bands, louboutin shoes, spiked clutches , Major love for them all. This outfit was something i actually like from the collection but please pay more attention to the clutch. Ooh la la! This Jacket individually is so versatile. .
#ExcuseMeKnot Because Dabur Vatika Is Here!